Have yet plan any activities for the long weekend in coming August? Come visit The Book Sale at Singapore Expo Hall 6B. English, Chinese Books and Stationery are priced UP TO 80% OFF! 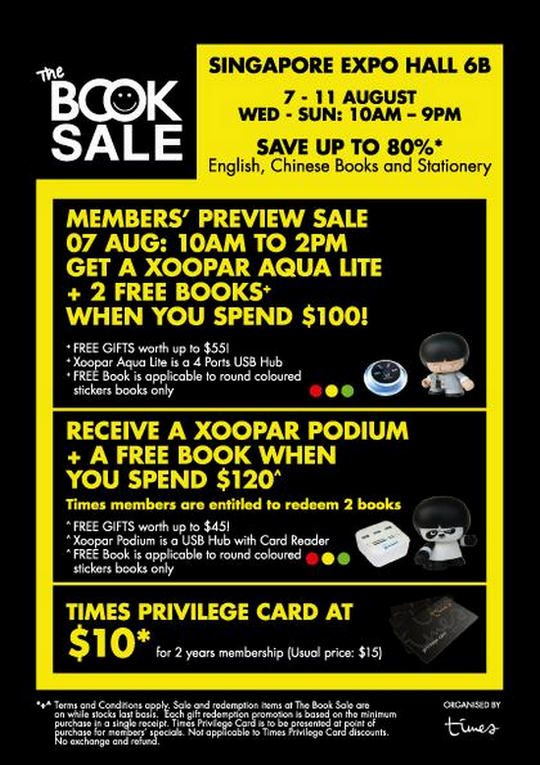 Times Members will get to enjoy a preview sale on 7 August. For non-members, membership are going at $10 for 2 years membership (usual price: $15)!